ROSEMARY HARRIS: We've yakked about the summer switcheroo, changing closets, curtains and even dishes but one of my fave things - and it's easier than packing away heavy bedding and curtains - - is the summer playlist. I'm not saying that you can't listen to The Beach Boys in November, but isn't it special to hear them when the sun is shining and you're headed for the beach? Like hearing Bruce Springsteen just as you emerge from the Holland Tunnel? The Grateful Dead in San Francisco? Frank Sinatra when you're in Vegas? People always talk about the perfect pairing of wine and food.. After the first glass whatever it is is fine with me. Who cares? But the perfect music can totally make the experience. A few years back a friend of mine made an Italian playlist when a group of us were leaving for Tuscany. Everything from Tosca to Tony Bennett. Dean Martin and Dominigo Medugno Awesome. Still is. I transferred to ipod list. The Beatles in London. Edith Piaf in Paris. Sly Stone and Chad and Jeremy at the beach. The Godfather soundtrack in Palermo. Carmen in Seville. 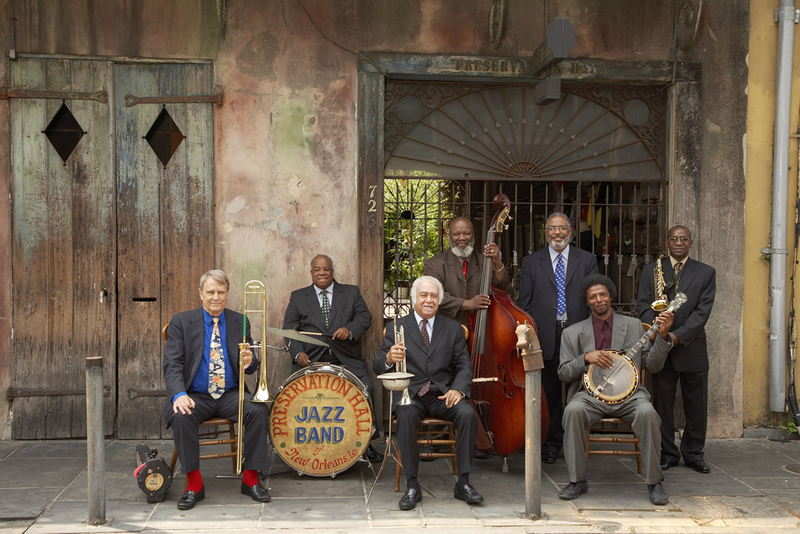 Sidney Bechet (pictured) in New Orleans. I can remember totally embarassing a friend when he picked me up at LAX. I popped a cd into his car's stereo and started singing to Randy Newman's I Love L.A. Okay. Not exactly subtle. Favorite summer music? I couldn't stop singing Call Me Maybe last summer, and wonder what this year's song will be. What's your perfect pairing of music and place or experience? Favorite summer song? I guess I’m just not savvy enough to match my music to the season, except for Christmas [although I never get tired of the traditional carols and I don’t mind hearing them any time of the year] . . . . Generally I just listen to whatever I like, no matter what the season: show tunes . . . classical music . . . Julie London . . . Jackie Evancho . . . . I've been singing "All Summer Long" from Kid Rock all week. My favorite matchup is a good New Orleans funeral march while spraying in the yard for bugs and poison ivy. Oh funny Ro! I don't listen to music too much except when in the car...but supposing we were headed to Nashville, I could have fun with that--starting with Elvis, and ending with the music from the TV show Nashville. Well... Ro. This is a first. I'm stumped -- unless you'll accept the Beach Boys CD we picked up one summer at the Danish equivalent of an AM/PM Mini Mart. Steve and I drove all over Denmark playing that CD with plenty of water and lots of blonde people who looked like surfers who left their boards down on the beach. Summertime Blues, Hot Fun in the Summertime, Summer in the City, but also think about Too Darn Hot, Rum and Coca Cola, Sand in my Shoes. Reine...Wonderful Wonderful Copenhagen? I'm Hans Christian Andersen? 1. I first heard "Yellow Submarine" the summer of 1966 in a shop in Carnaby Street in London! My friend bought a shockingly mini mini-dress. 2. On a trip to LA with my youngest, we visited the Gene Autry Museum, and our favorite song on the radio was "Where Have All the Cowboys Gone?" Ro... "I'm Hans Christian Andersen." Is that a song? i was walking through Odense early one morning looking for a cup of coffee and saw a small yellow house. I thought it looked just like the pictures of Hans Christian Andersen's childhood home only much more interesting. Then I saw a sign by the door. It was his house. I had bumped into it by accident. I think this year's summer anthem will be ''Crickets''by Drop City Yacht Club. Not exactly a favorite of mine, but it is catchy and will appeal to the "Call Me Maybe" crowd. In other words, by the end of the summer, we'll all be ready to NEVER hear it again. I like to read books set in places we travel to, but it never occurred to me to listen to music from those locales. Anybody have some ideas, books or music, for a trip to Tanzania? Books for Africa - I Dreamed of Africa by Kuki Gallmann, West with the Night by Beryl Markham, Out of Africa by Isak Dinesen, Flame Trees of Thika (that's twice this week!) by Elspeth Huxley and any of William Boyd's Africa books...A Good man in Africa, Ice Cream War. Email me for more. The Bolter, The Devil Drives, White Mischief...so many! Karen, also a great soundtrack from the Out of Africa film. Paul Simon's Graceland a must. But summer? All time favorite is probably Summer in the City. Beach Boys. Satisfaction, which always brings with it the smell of Coppertone and chlorine--they played it on the jukebox at the country club pool all one summer when I was a kid. I've read most of those books, and probably have them in my library someplace. Nice list. I'm also not too savvy about music. There's certain (slightly embarrassing) 80s dance music that always gets me revved up--love it for preparing to go out or driving. I associate my days living in New York City with early 90s grunge (Pearl Jam!) and Lenny Kravitz. Lately, I've been listening to a lot of worldbeat music on Pandora. Whenever The Gypsy Kings come on I want to travel to South America, Spain, anywhere really. I spent most of the summer of '69 in Europe. I was a luck 17 year old. To this day, I associate the Stones' Brown Sugar with a discotheque in Amsterdam and Jane Berkin's Je t'Aime with Paris. Does anyone remember that song? Nice music and a bit of, umm, sighing with some lyrics in French. I was an impressionable kid just graduated from a convent school and this song was a revelation. I brought the 45 back and it was a hit in my college dorm before it became popular in the US. I heard Surf City this morning while doing dishes and I did dance around. These are my summer songs. I too do most of my music listening in my car and most of the year I am content with the local alternative rock radio station. However, once it is warm enough to drop the roof on my convertible roadster I want loud, sing along, head bouncing, chair dancing, wind in my hair, speeding down the highway songs. Right now it is Suicide Blonde by INXS, next up The Resistance by Muse. I don't think about matching my music to the season, but I do match it to my mood, which the season probably affects. When we're on the road on long trips, Ben and I tune into local oldies stations and sign loudly and bounce around to songs from our youth. Lots of fun and it helps the miles melt away. Yo Mo - I've always wanted a convertible...so cool...California Girls, Sheryl Crow's I want to Soak up the Sun? Okay Captcha is Listana superfluidad - superfluous lists? Summer music to me will always be anything and everything Motown. My memories of walking on The Boardwalk in Ocean City, MD always seem to have The Temptations, The Four Tops, The Supremes, Martha and The Vandellas, Marvin Gaye and Smokey Robinson singing in the background. still love 'em! Ro, now I remember the Danny Kaye movie. Yes, and a sweet song that Danny Kaye sang. Aww. This summer? CARRY ON by Fun. Absolutely! I went though a big Basia phase a few years ago. 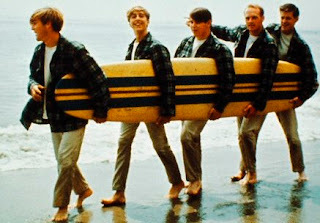 ANd The Beachboys--Imagination. Oh, and Emmylou HArris Crescent City. And--always Graceland.